If the buzz is that they’re not feeling their best, our crunchy dipped Oreos® will be the sweetest gift they get. 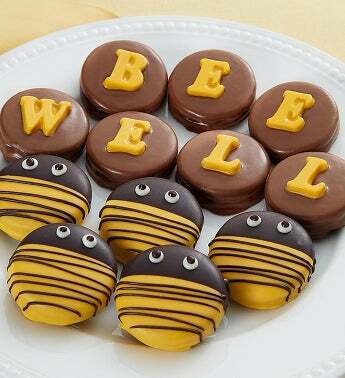 A dozen of everybody’s favorite cream-filled cookies, covered in rich milk chocolate, then hand-decorated to look like cute little bees that spell out “Bee Well” in bright chocolate letters. 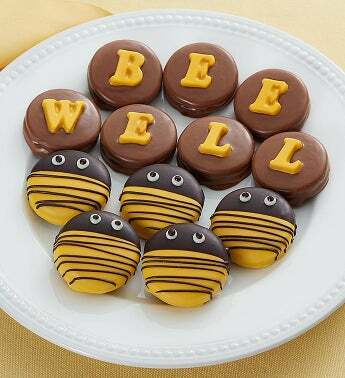 What a tasty—and thoughtful—way to wish somebody a speedy recovery.